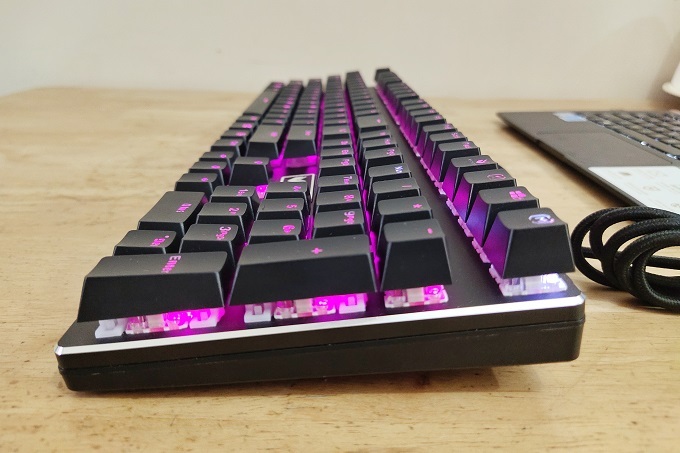 Need a gaming mechanical keyboard that does not break the bank? The Rapoo V700 RGB is a great choice. The gaming industry is a very lucrative market where many brands wanted to get a bigger share of the pie. Aside from the powerful hardware and stunning displays, there's a growing section in this category that opens a good opportunity for brands to compete - the peripherals. Rapoo is a name that is known for its quality keyboards and mice product segments with modest price points. With peripherals intend to amplify the experience and performance, Rapoo seeks to have a bigger following with its VPro series. 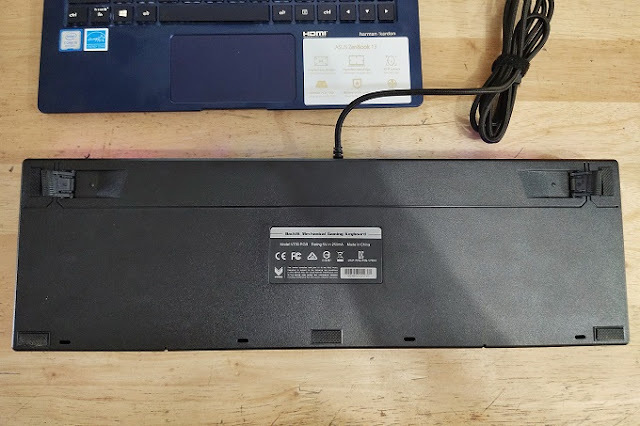 One interesting device is the V700 RGB Mechanical Keyboard. First off, Rapoo has introduced the V700 Mechanical keyboard on the top end of the spectrum. Its keys has its own LED backlighting which definitely makes it an eye-candy. To be specific, the colors come in a spectrum-like fashion which makes it even more gaming-friendly. These LEDs support RGB color hues wherein each zones have their pre-assigned colors. It's something that you can't change for customization purposes. What you can do is adjust brightness level of these lightings to have a more personalized feel. Rapoo is using its proprietary Yellow switch in contrast to the popular Cherry switches used by other manufacturers. The keys are soft and don't need to have much effort to put pressure on it. The keyboard offers smooth typing experience and clicks right when you press each keys. However, the clicking is not the regular sound that we have been accustomed to with common mechanical keyboards. In fact, the sound registers to be a sharp noise and it's more toned down than most mechanical keyboards that use Cherry switch. When typing, it really does gather attention due to its audible sound. It will definitely break the silence of a quiet night. Moreover, if you're using this in a closed space, it will definitely attract attention. The typing experience is quite impressive though, this may have been pegged for the gaming market, but I think it could also be a well-balanced keyboard that can be used to boost productivity of professionals or students. Rapoo has tested the keyboards single key life operation to 60 million operations, making it more durable. All 108 keys in the keyboard are well laid out. The design allows ease of typing without worrying that you might hit the wrong key. There's also a Window lock key that enables you to freeze the Windows function if ever you hit the button while gaming. The Rapoo V700 Mechanical Keyboard ticks with a built-in ARM processor which runs with 1MHz polling rate. 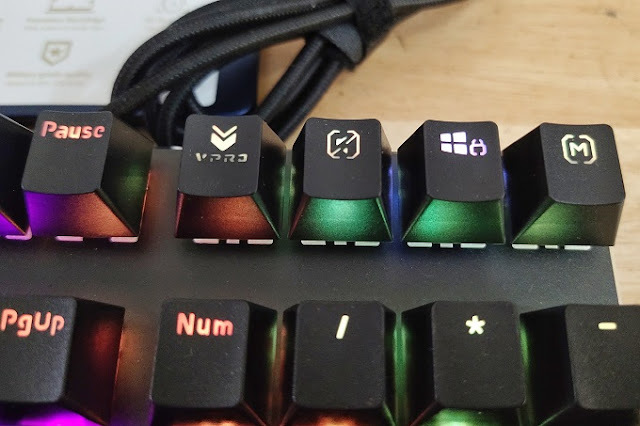 You can customize the keys and make use of macros. Doing it will need the help of the company's proprietary software that can be downloaded in the Rapoo website. On top of that, you can make use of profiles which could be stored directly on the keyboard's memory. Thus, you can play your own configuration in any computer. 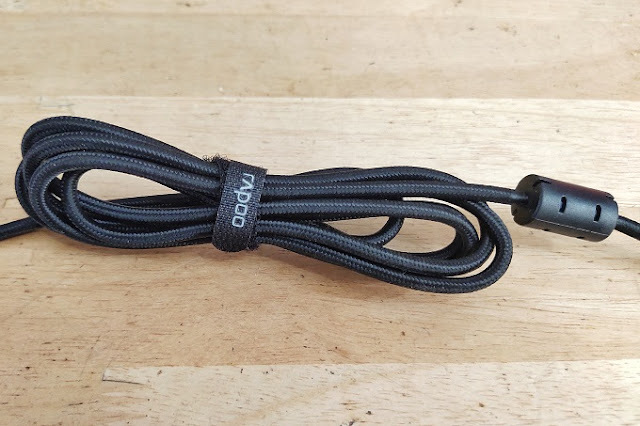 It's also worth-noting that the keyboard comes with a braided cable which definitely adds a premium feel; it has 1.8-meter length. The lifting mechanism on the bottom part of the keyboard also offers a favorable angle when typing. Plus, the base comes with rubber pads to resist slipping the whole keyboard off any surface. 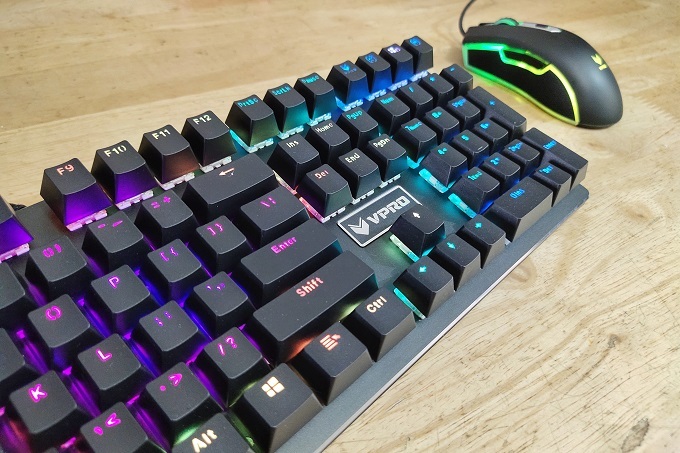 The Rapoo V700 Mechanical Keyboard is a breath of fresh air for gamers who wanted to have a solid mechanical keyboard in a very modest price. 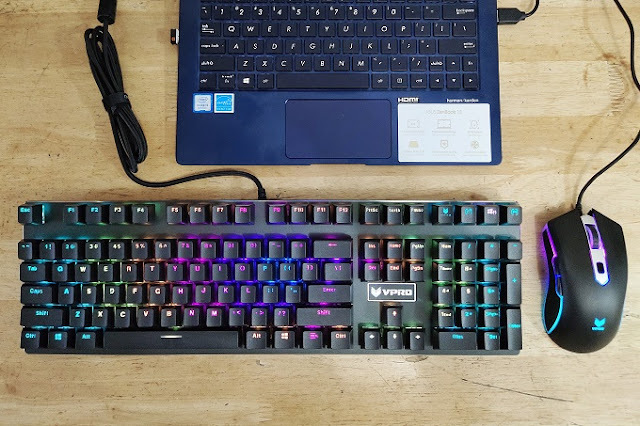 On top of that, this is a well-rounded keyboard that I could also recommend for productivity-minded people who wanted to boost their efficiency at work or in school. The keys are not annoyingly loud which I definitely love. On top of that, the keys are well balanced and not overcrowded. It may be hefty when it comes to dimensions and weight, but there's little to complain about this keyboard. For me, it's a reasonable buy for its Php 3,195 price.